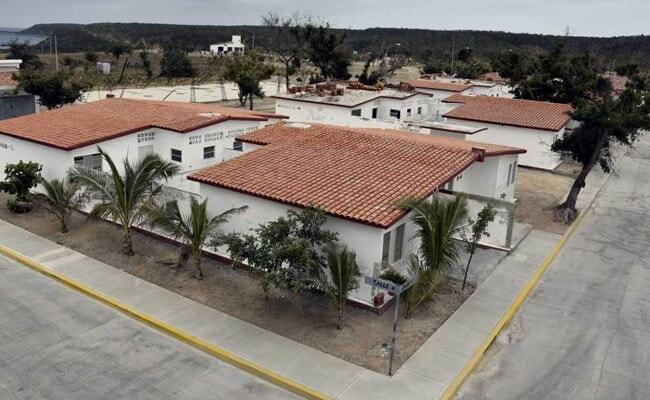 In February, new Mexico President Andres Manuel Lopez Obrador decided to close the prison, saying the islands -- known for their beauty and biodiversity -- should not be a testament to "punishment, torture and repression." 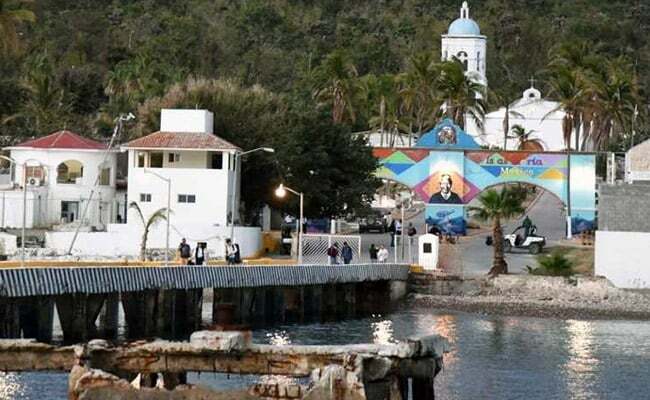 More than a century after Mexico established a prison on the Maria Islands -- a Pacific archipelago eight hours by boat from the mainland -- the country's new government has decided to close it. But some prisoners didn't want to leave the tropical jail. The inmates and guards on the islands -- the Islas Marias, as they are known in Spanish -- stayed put even when powerful Hurricane Willa swept over them in October 2018. But they could do nothing to withstand the force of nature that is Mexican politics. 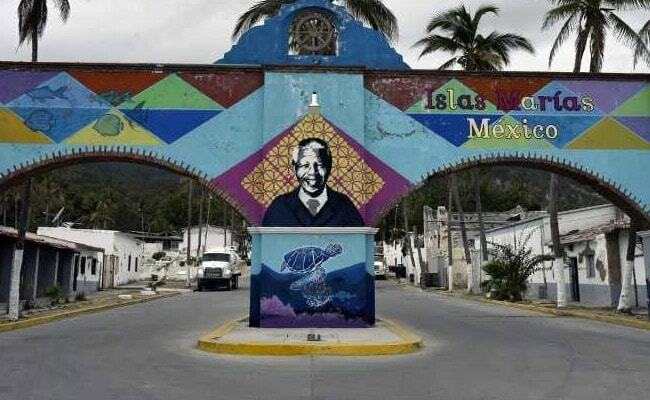 In February, newly installed leftist President Andres Manuel Lopez Obrador decided to close the prison, saying the islands -- known for their beauty and biodiversity -- should not be a testament to "punishment, torture and repression." The jail, established in 1905, will now become the Jose Revueltas cultural center, named for a Mexican writer and political activist who was imprisoned here twice in the 1930s. Situated on Isla Maria Madre, the largest island in the archipelago, the prison has held around 64,000 inmates throughout its history. Last month, the last 584 of them were sent back to the mainland. Low-risk inmates who were close to finishing their sentences were freed. The rest were sent to another prison in the arid, land-locked northern state of Coahuila. The change was not necessarily welcome. Most prisoners lived in semi-captivity on the island, free to roam about in the balmy weather beneath its tropical palm trees. Some even lived with their families. "It's a drastic change for some of them. Here, they were used to living in semi-captivity," said prison guard Jose Becerra when AFP visited the island. "They were calmly serving their time, living happily with their families. The change took them by surprise, and they were definitely sad to leave." Isla Maria Madre sits 130 kilometers (80 miles) off the mainland, a far-flung island surrounded by calm, turquoise waters and inhabited by pelicans, parrots and iguanas. The prison consists of a series of cement houses where low-risk inmates lived, eight to a house, with cement beds and door-less bathrooms. Outside, they had access to an open-air gym, a garden, a woodworking shop and music classes. The maximum-security building has more traditional cells, with steel bars, two beds per cell, a toilet and a small space to sit. It held 137 inmates before it closed -- around one-fourth its capacity. Today, the prison looks almost like a ghost town, its streets empty except for the occasional golf cart driven by the remaining guards who have yet to be transferred to the mainland. It still bears the scars of Hurricane Willa: uprooted palm trees, roofless buildings and barbed wire strewn about. The inmates, who were tasked with clean-up after the storm, did not have time to finish the job. The guards continue raising and lowering the Mexican flag over the prison each day, but have little to do in between. "It's not easy to give up living in paradise. It's always hard to reintegrate into society," said Ricardo Ramirez, head of the civil protection service for the islands. In 2010, UNESCO declared the islands a biosphere reserve, the UN agency's designation for specially protected, biodiverse regions. The rich array of wildlife on and around the islands includes their famous sharks -- the main impediment facing would-be fugitives. Few prisoners attempted to escape over the years. The ones who did often ended up roaming the island -- which measures 20 kilometers long by 10 kilometers wide -- hunting small animals for food, until they were recaptured. "As you can see, the (prisoners') houses don't have bars. They were allowed to walk around during authorized hours, go for a run, play basketball or football, watch TV, come to the workshop," said Gregorio Lopez, security chief for one of the prison's sectors. Not all considered it a tropical paradise, though. In 2013, around 650 prisoners rioted in the maximum-security sector, demanding better food and medical treatment. Around 30 people were wounded. Once a week, a boat ferries guards and supplies to the port of Mazatlan on the mainland, a trip that takes seven to 12 hours. Soon it will ferry the last guards back to shore, and the Maria Islands will begin a new chapter.